We've only got about a month left before Ouya units start landing in the hands of backers and a few months before the full-blown retail launch. A retail launch that we now learn will include GameStop, Best Buy, Target, Amazon, and an undisclosed number of other sellers. Yes, including brick-and-mortar stores. Things are starting to look pretty good for the little console that could. Speaking in an interview with the Wall Street Journal, Ouya's CEO released a few extra details, including the price: $100 for the console, which we knew. However, controllers will also be available for $50. Note the distinct lack of the word "extra" before "controllers." You see, the touchpad-enabled handheld can be adapted for use on other devices. Like tablets, maybe? I bet a lot of users would like that. We wanted OUYA to be in every gamers hands, we wanted to be as big, if not bigger than any other device. We have plans in place to do that and we feel confident that if you’re a gamer you’re gonna know about that. 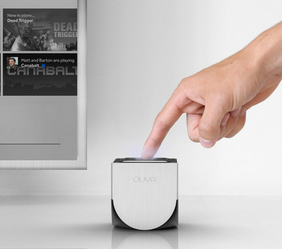 That's a pretty big claim, but so far Ouya has managed to keep us interested. We'll see if it can pass the big test, though: being fun to play and easy to use. Until consumer-facing units start rolling out in March, we can't be sure. Check out the full interview for more.